We’ve blacklisted Fabulous Bingo after their decision to move to a new affiliate program as of 1 July 2017, making the switch from The Sun Affiliates to Nethive. They will not migrate our referred players to the new network, therefore, payment for our marketing services per the initial agreement will cease. Poor business practices with partners is a red flag for players. The fashion police will have to step in on ‘The Fashion Capital of Bingo’, which caters to the beautiful people of the bingo community. In August 2016 ‘The Sun’s’ bingo brand switched from the Gamesys platform to Playtech’s Virtue Fusion along with sister site Sun Bingo. This opened up a whole new world of games to players without moving beyond the borders of the United Kingdom. If you’re not located in the UK or the Republic of Ireland you are still restricted from registering an account. While that hasn’t changed there are quite a few things that have. Choose from a range of bingo rooms including the UK’s favourite 90-ball variety. 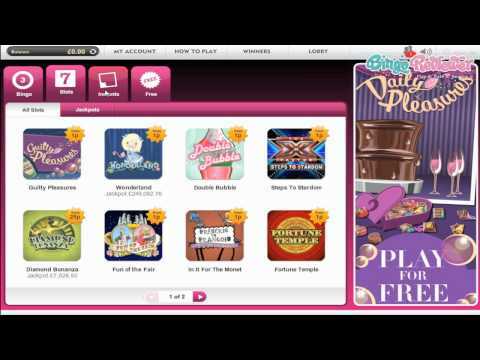 Why not bring the bingo hall experience to the online world with session bingo. Just as you do in your local clubs, players may purchase book packages containing tickets for a set number of games. Choose the price point that suits your budget, close your eyes tightly and cross your fingers. Linx games bring together a much larger pool of players but the same goes for the prize pool. Don’t miss out on tickets to linked up games for a chance to win some serious cash. The collection of slot games has improved and has expanded to include titles from Playtech without losing the Gamesys products players have become accustomed to. There’s also no shortage of progressive jackpots. Slot Games: The Flintstones, Jackpot Giant, White King, Age of the Gods, Everybody’s Jackpot, Great Blue, Halloween Fortune, Beach Life, Mr. Cash Back, Fortune 5, Cat Queen, Hot Gems, Bounty of the Beanstalk, Pink Panther, Rocky, Fortunes of the Fox, Leprechaun’s Luck, Ace Ventura, Top Gun, Santa Surprise and so many more. Check out the scratchcards section too including games such as Monty Python’s Spamalot and Kong Scratch. The Promotions page highlights exclusive specials and players should check often for the latest offers available. Of course welcome bonuses are still in fashion so newbies will get a bit of a boost for funding their accounts. Every fashionista can appreciate a good BOGOF sale so prepare to indulge in special card prices throughout the week. We had hoped that they would open up to other markets following the platform change but unfortunately this wasn’t the case. This is definitely a good option of you if you’re within the markets they serve. The maximum withdrawal limit is set nice and high at £10,000/€10,000 in a 24-hour period. They get 4 Pink Hearts from us. Fabulous Bingo is a UK site, and not only that, but it is available only to UK residents, which is a real shame, because it really is a great site. You get a £5 free No Deposit Bonus, just by signing up, and that is really nice. Although they do give a 72h period to get this bonus, I got in within minutes of registering. The first deposit that you make will get you a 200% bonus, not that impressive, but better than nothing. This is one of the better looking sites, and everything is clean and high-res, great for large screens. As I was not familiar with the software provider, I was interested to see how it all looks and feels. Well, the games are awesome, smooth and very good looking. Weird a bit that they have 90 ball and 80 ball games, and this has to be the first site that has that kind of bingo offer. Never the less, a good place to keep bookmarked.